Whether it’s cooking with open flames or working near exposed wiring, everyday work processes and environments present a range of hazards for employers to address when considering their uniform needs. To help counter these threats, companies turn to specialized uniforms and personal protective equipment (PPE), as it not only sends workers the right message about employers making their safety a priority, but also helps to minimize the potentially high costs of a serious work accident. 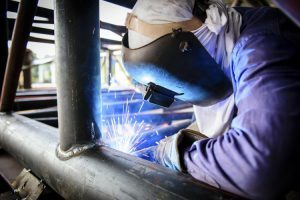 Here, we take a closer look at the part personal protective equipment plays in the workplace to not only give employers a better sense of what PPE is, but also provide businesses across various industries with insight and tips on the types of PPE they should be looking for with their uniform service. In the daily workplace, employees are exposed to countless occupational hazards and electrical, chemical, and physical risks for injury. 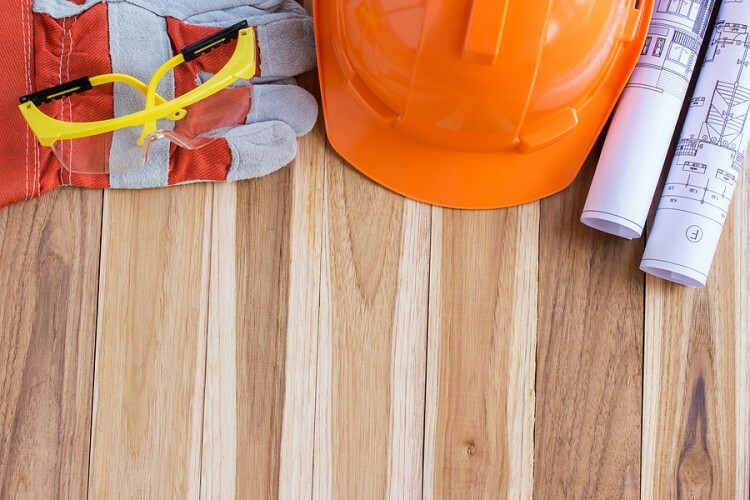 While additional implementations like administrative or engineering controls and safe work practices are used to protect against dangers in the workplace, employers also have a legal obligation to provide personal protective equipment (PPE) to workers. Defined as protective clothing like helmets, flame-resistant shirts, gloves, and other garments designed to protect wearers from injury or infection, PPE not only helps employees to safely go about their work, but also helps to limit potential employer liabilities in the event of work accidents. PPE is used to address individual health and injury risks like burns, chemical exposures, and severe cuts or lacerations, which many industries and employers grapple with each day. As such, it’s all the more essential for employers to select PPE and uniform services that provide workers with appropriate protections. Including healthcare, food service, automotive or construction, and other industries, there are a range of companies who require PPE and specialized uniforms to adhere with various PPE regulations and avoid potentially steep noncompliance fines and penalties. When employers are selecting a uniform service and PPE, it’s important for companies to carefully consider and assess all relevant types of hazards in their workplace, and in turn match their PPE choices to provide employees necessary protection against each possible threat. Lab Coats, Smocks, and other garments designed to prevent blood and OPIMs from contacting and harming wearers. Glasses, Visors, and other guards to protect the eyes from harmful substances or contaminants. Respirators to prevent or protect employees from inhalation of dangerous fumes, gases, and vapors. Gloves to avoid illness transmission via open cuts, and to protect from cuts, punctures, chemical burns, and OPIMs. Glasses or Goggles made to protect workers’ eyes from flying particles or molten metal. Helmets and Head Equipment designed to protect employees from falling objects and minimize risk of injury from electric shock. Puncture-Resistant Shoes able to protect workers from static discharge and rolling or falling objects. Rubber-lined work shirts, gloves, and other equipment to prevent injury from electric shock, as well as protect from heat and severe cuts or abrasions. Respirators to protect workers near harmful fumes, dusts, and smokes from inhalation and airborne illness. Heat or Flame-Resistant Shirts, Aprons, and other garments to prevent injury while cooking or working near open flame. Protective and Non-Slip Shoes designed to protect from falling objects, and prevent employee slips, trips, and falls while walking on slippery surfaces. Gloves and Hand Protection to prevent severe cuts, burns, and food contamination. 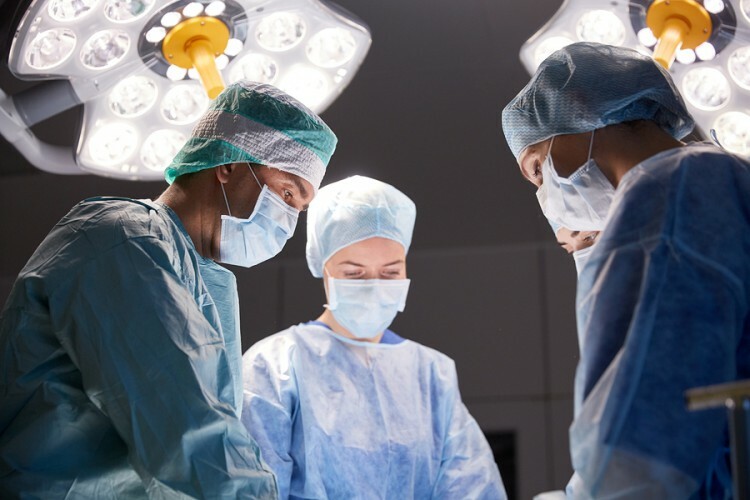 Finding the appropriate uniform services and PPE for your workers is crucial to not only protecting the health of employees, but also the business from costly fines and potential liabilities if there is a serious accident. At Uniform Nations however, we partner with a nationwide network of the top uniform providers—many of whom recognize the critical importance of PPE and uniform reliability, and strive to tailor their services to best suit companies’ needs. For more information on uniform services and PPE or to get a free estimate, just fill out the form at the right of your screen, or simply give us a call today at (866) 467-4178 to get free quotes from reliable uniform service providers in your area. From electrical hazards to physical threats, there are a long list of uniform laws for protecting workers, and for employers, it’s essential to remain compliant if they want to avoid financial penalties and injury liabilities. Get insight on how working with compliant uniform services can help to keep employees safe while providing benefits to employers here. Along with laws regarding employee uniforms, OSHA also has a strict set of standards for laundry and sanitation laws. Get an outline of the applicable laundry laws and regulations for healthcare providers and ensure your laundry processes are up to standard here.